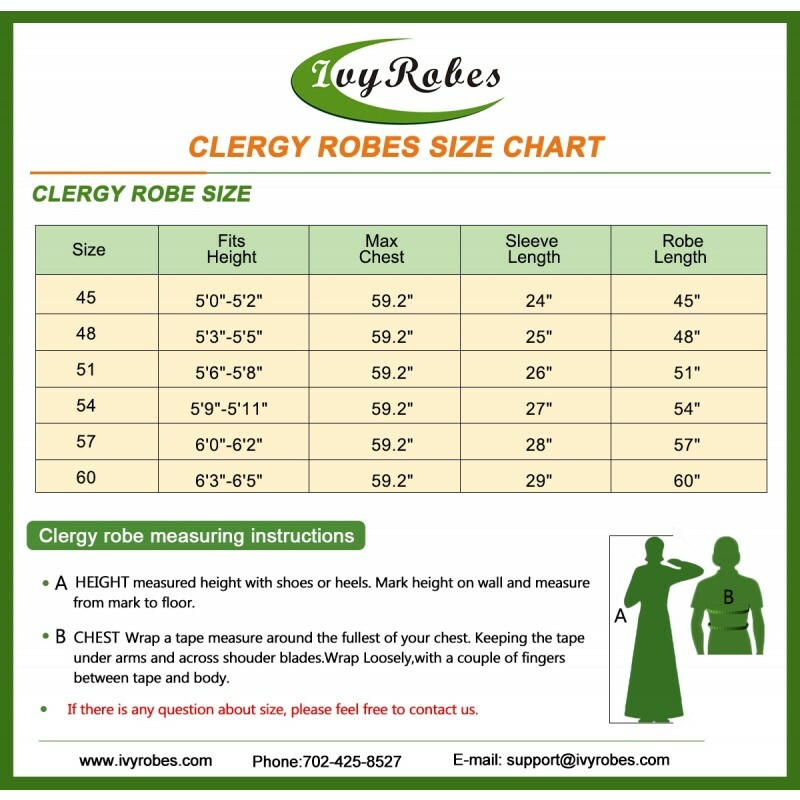 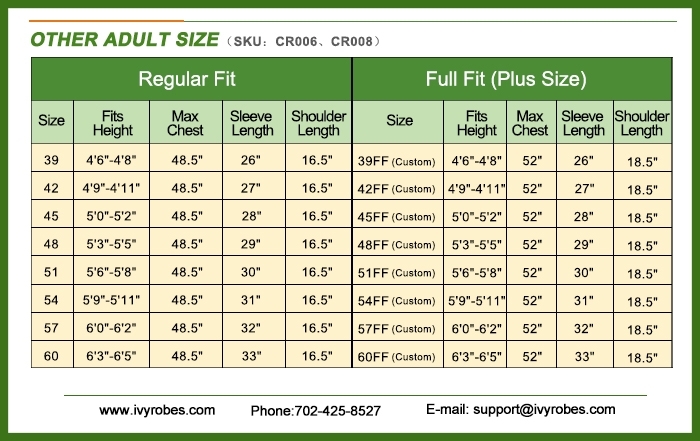 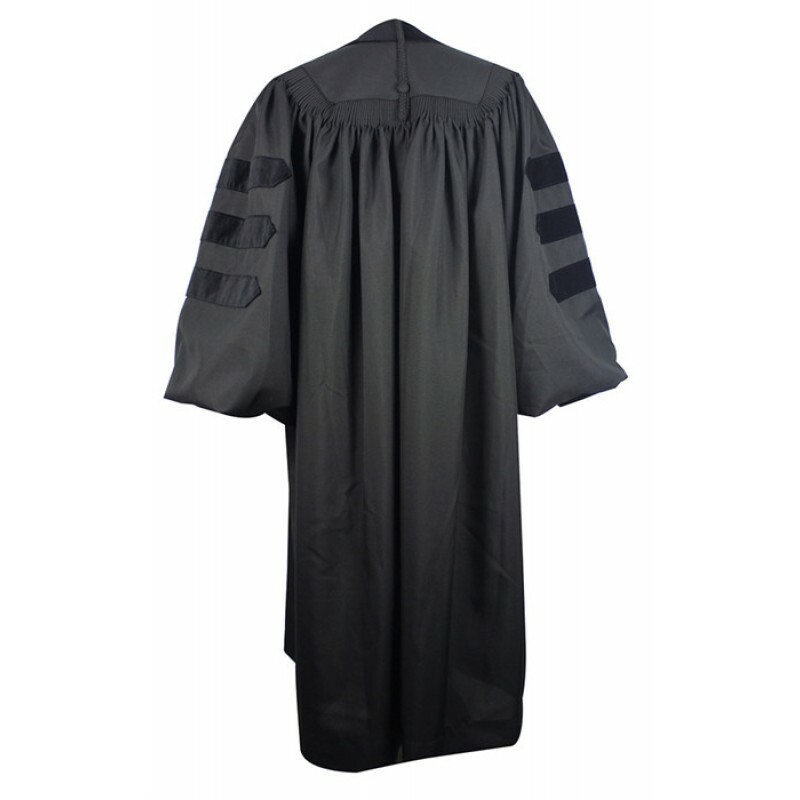 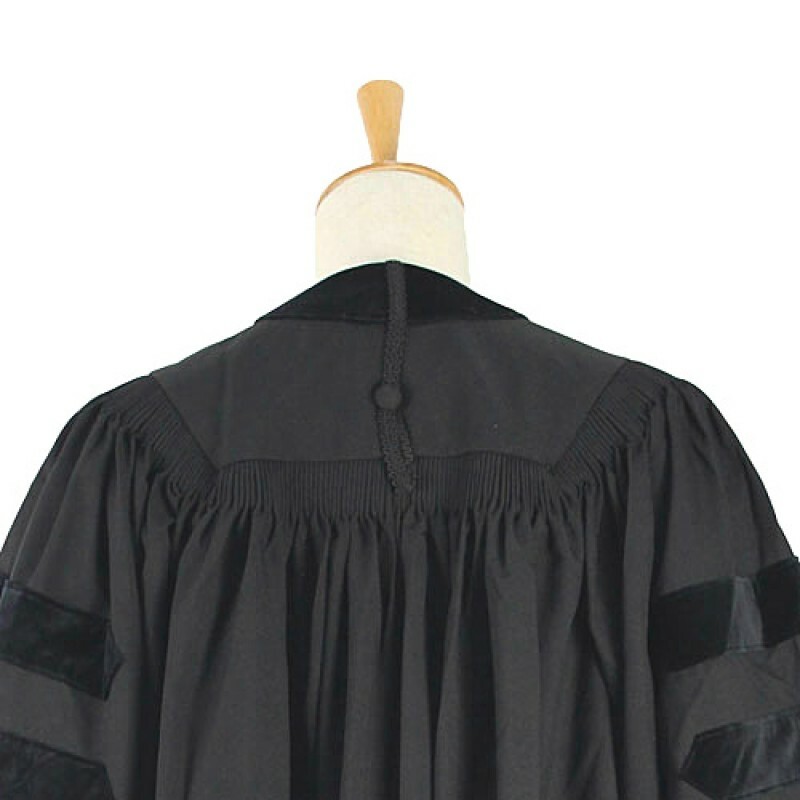 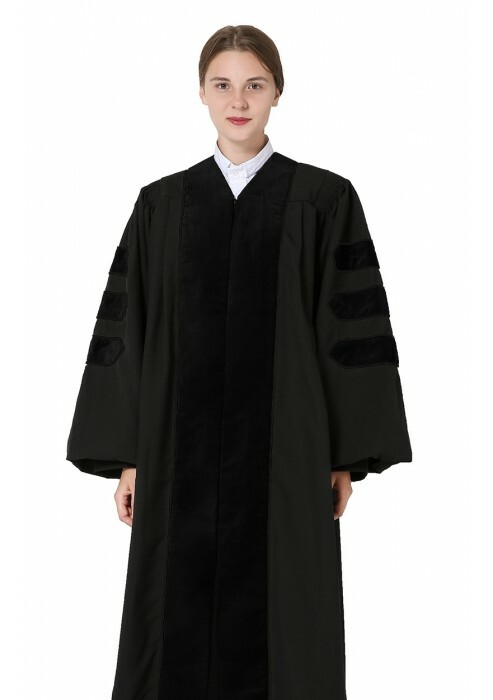 Doctoral clergy robe is made of highest quality polyester fabric and finest workmanship. 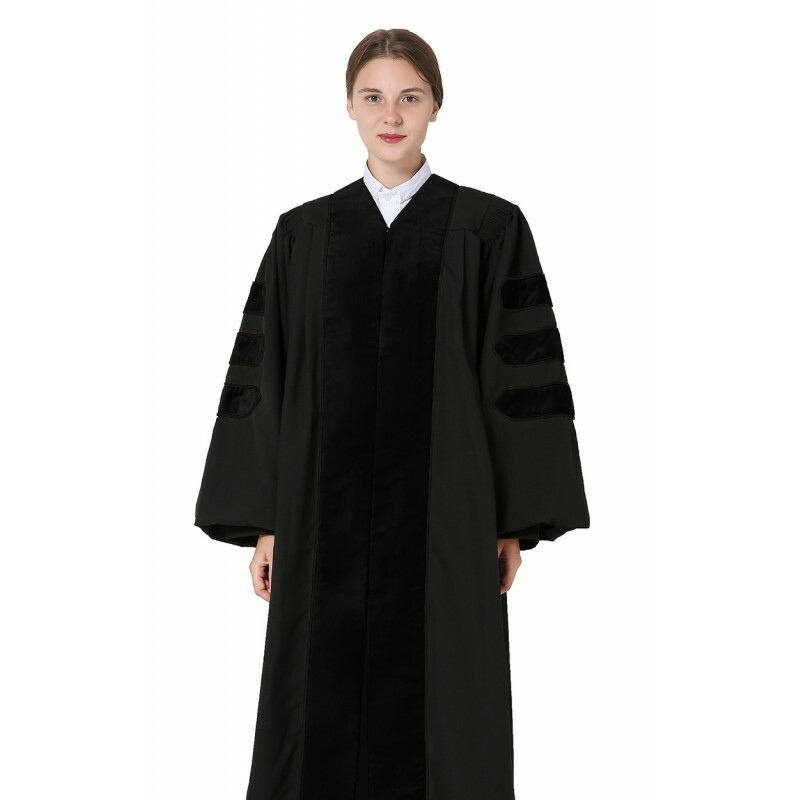 Black gown with black velvet trim, features full length wide velvet pleats, full fluting back and bell sleeve with cuffs. 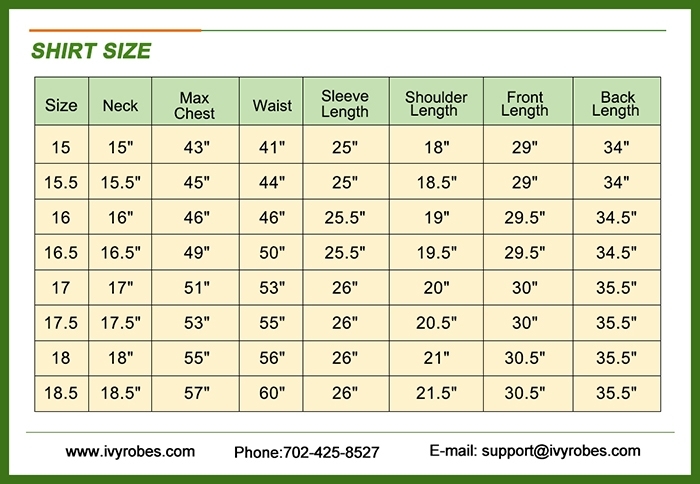 It is free-wrinkle, light weight and durable. 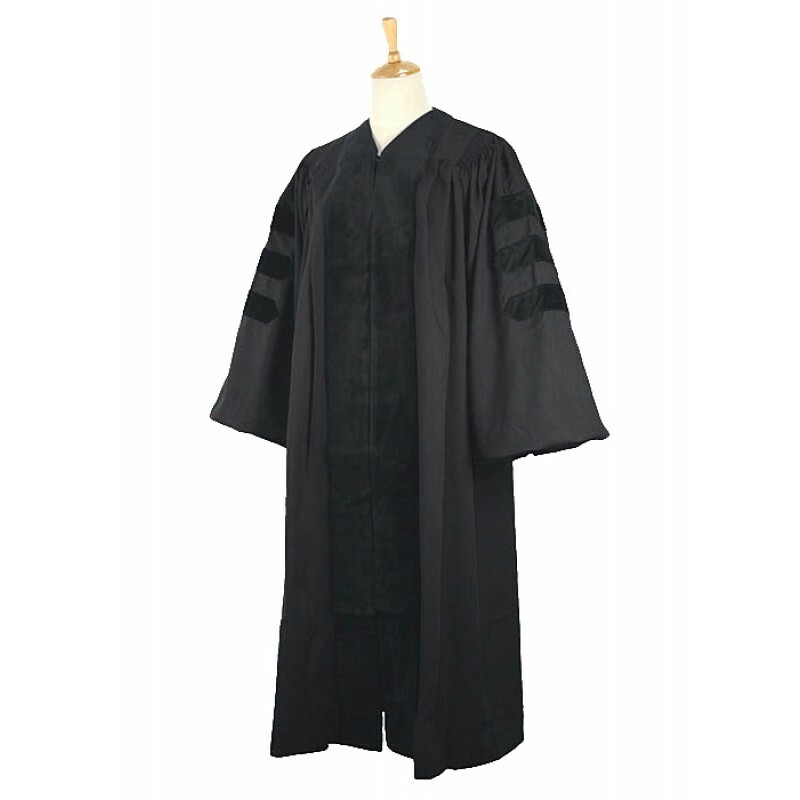 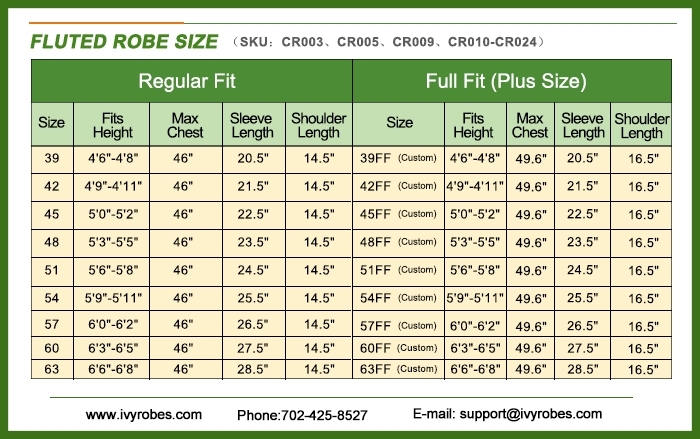 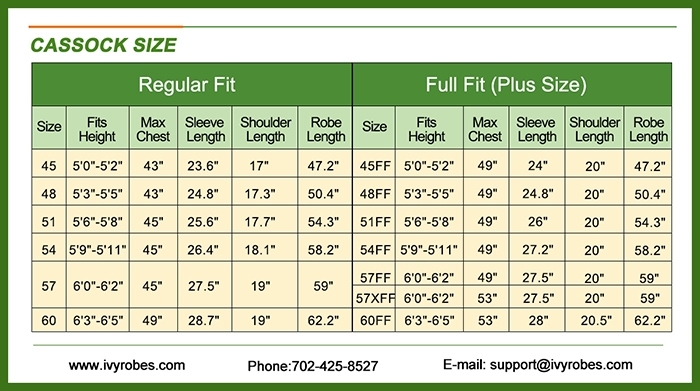 These kinds of Black Doctoral Clergy Robes provide you with top notch quality and comfort at a very reasonable rate. 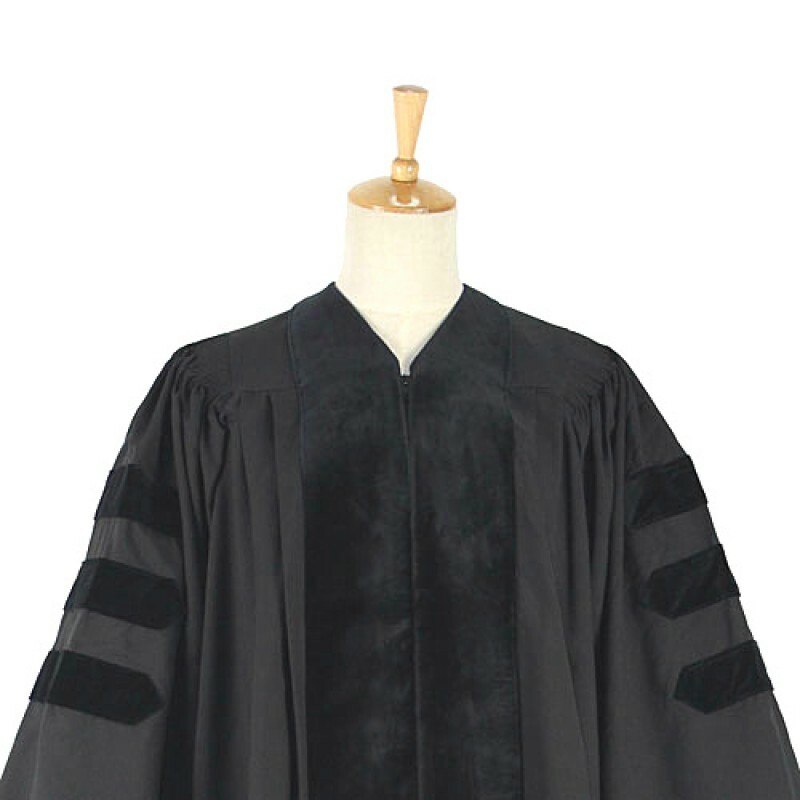 Expert craftsmanship takes time so purchase yours ahead of time. 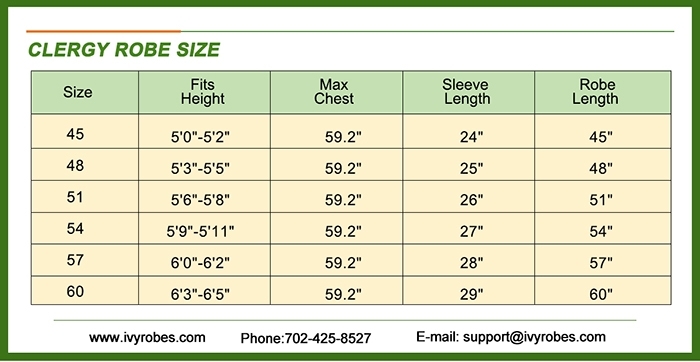 It is in stock and ready to go.